Viking River Cruises has been adding new ships to its fleet at a rapid pace over recent years as the market for river cruises continue to grow. On Tuesday 1 March 2016 six impressive new vessels were added to the Viking fleet in a christening. Viking operates more than 60 river cruise ships, which it calls longships. Named after Norse deities, the vessels have a length of 135 and beam of 11.50 metres – perfect for the great European rivers on which they sail. Each can accommodate up to 190 passengers. The six new river cruisers are powered by ecologically friendly hybrid engines which produce less vibrations and give an even smoother ride. 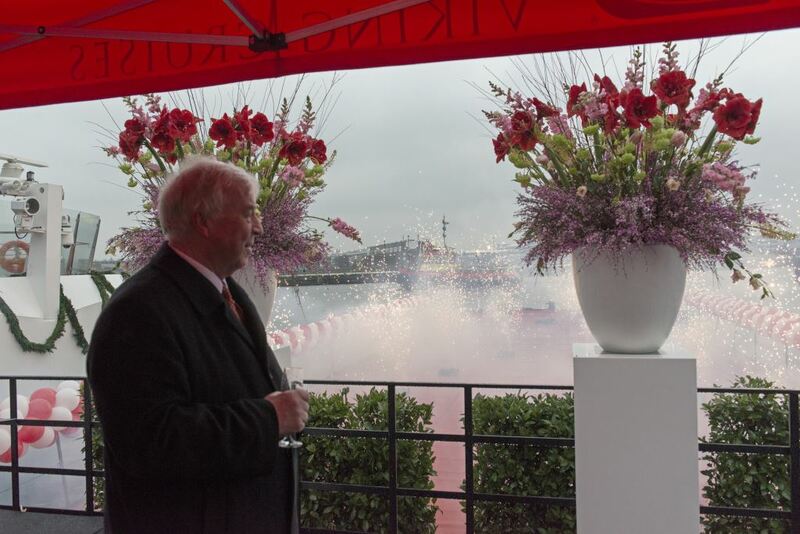 Viking River Cruise is expected to make 345 calls in the port of Amsterdam during 2016. 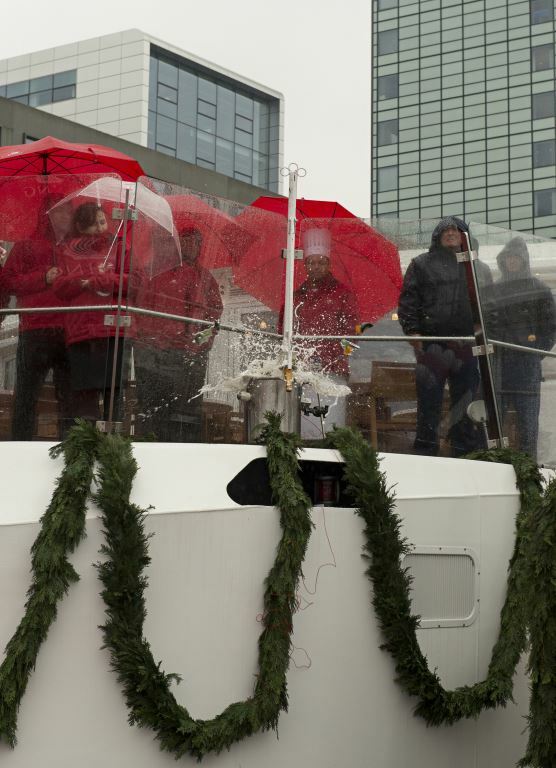 The Port of Amsterdam expects to welcome a total of 1,835 river cruise vessels. Tourism also generates considerable income for both the city and the region as a whole: the river cruise shipping companies and their passengers spend around € 38 million annually. The Port of Amsterdam has invested in a number of improvements in both the sea and the river cruise sector, in order to optimally accommodate all ships and passengers. The easternmost pier of the De Ruyterkade Oost mooring is being moved in 2016, making more space for ships of 110 metres and 135 metres. The Westelijk Stationseiland mooring facilities will also be improved this year. The two small jetties will be removed and piers 17 and 18 will be renewed and positioned differently. At this location the Port of Amsterdam is also realising a new pier where both 110-metre and 135-metre river cruise ships can moor. The project is expected to be finished by 2018. Furthermore, all possible efforts are being made to secure all necessary permits in order to open the planned new mooring facility at Westerdoksdijk. Lastly, the shore power at various moorings will be extended.